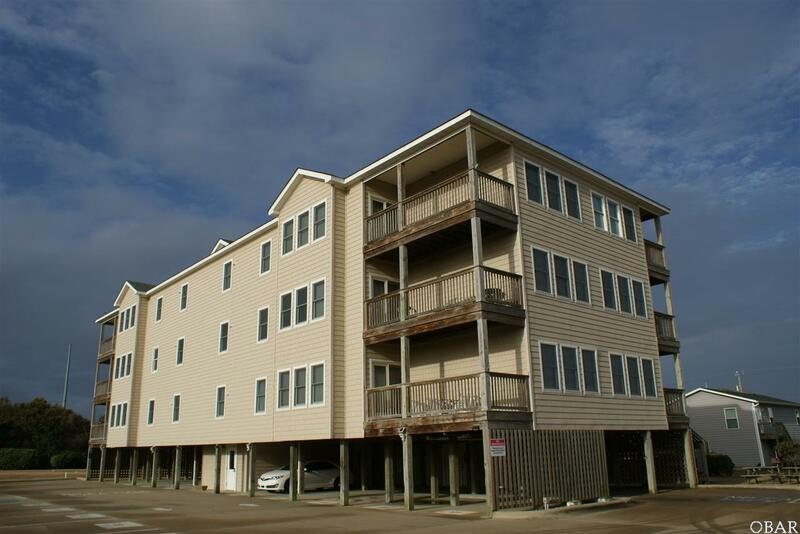 UPDATED semi-oceanfront 3 bedroom, 2 bath condominium located in the heart of Kill Devil Hills- the location cant be beat! Open concept dining and kitchen area flows into the living room with a private, covered balcony. Kitchen updates include granite countertops, tile backsplash and some stainless appliances, with chair rail in the dining area. Higher ceilings and numerous windows throughout lend a bright, open feel to the whole condo. 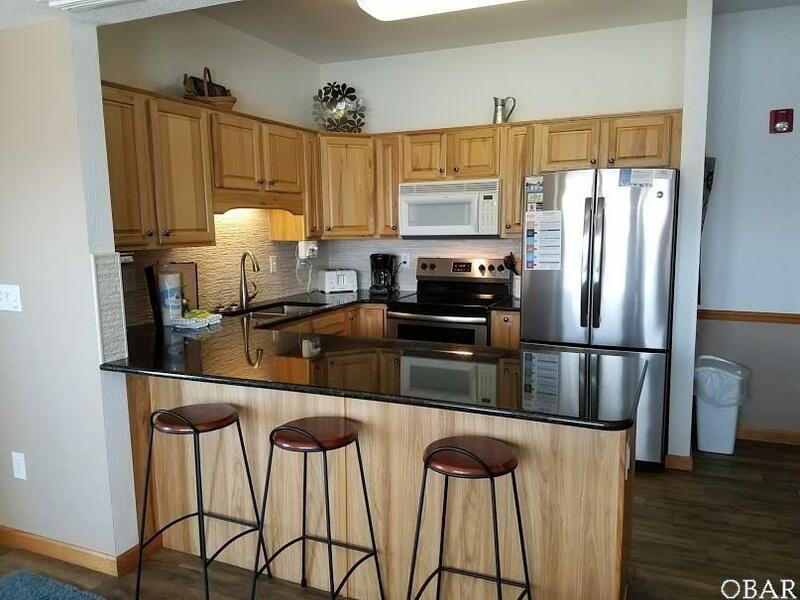 Natural wood trim, luxury ceramic tile, newer carpet in bedrooms, tasteful furnishings (leather furniture with new sofa in living room), and recessed lighting give this condo a contemporary feel. Private storage area in covered parking area under the building. Access to the building is through a dry entry in the interior lobby, and the entire unit is ONE LEVEL with elevator access! 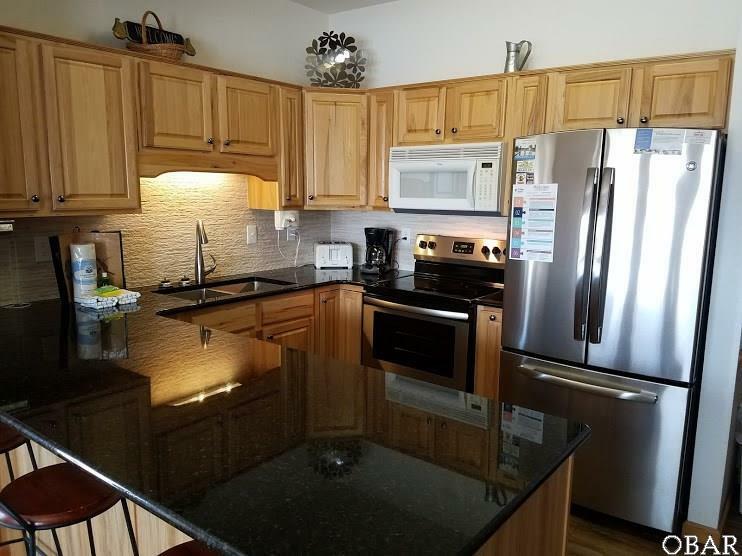 Outdoor amenities include pool, fenced common picnic area with grills, and beach access and great restaurants are within close walking distance. 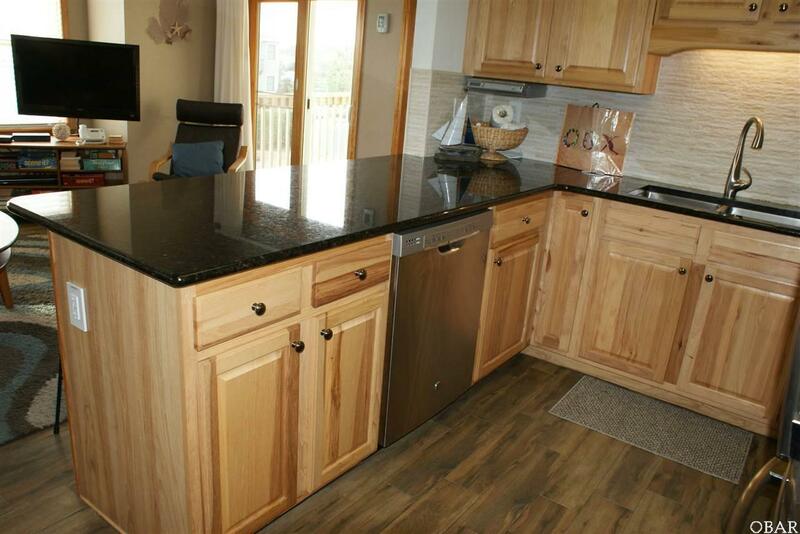 Buyer will receive free one year home warranty. Listing courtesy of Allan Friedman of Sun Realty - Kdh.